The culmination of 25 years of goggles technology, Oakley’s Crowbar MX Goggles offers the protection and performance demanded by the world’s top riders. The lightweight and flexible O Matter frame is combined with optically pure Lexan to maintain impact protection that meets ANSI Z87.1 and EN 1938 standards. Clear lenses are enhanced with F3 anti-fog treatment, the optics maximize your range of peripheral and downward view. You can’t stay focused without comfort, so Oakley engineered triple-layer face foam to wick away sweat, and strap outriggers for balanced pressure distribution. And to keep the strap from sliding, they treated it with silicone. The Crowbar Goggles also comes with a removable nose guard and the Oakley 7-pack laminated tearoff system, the most advanced tearoff system on the planet. 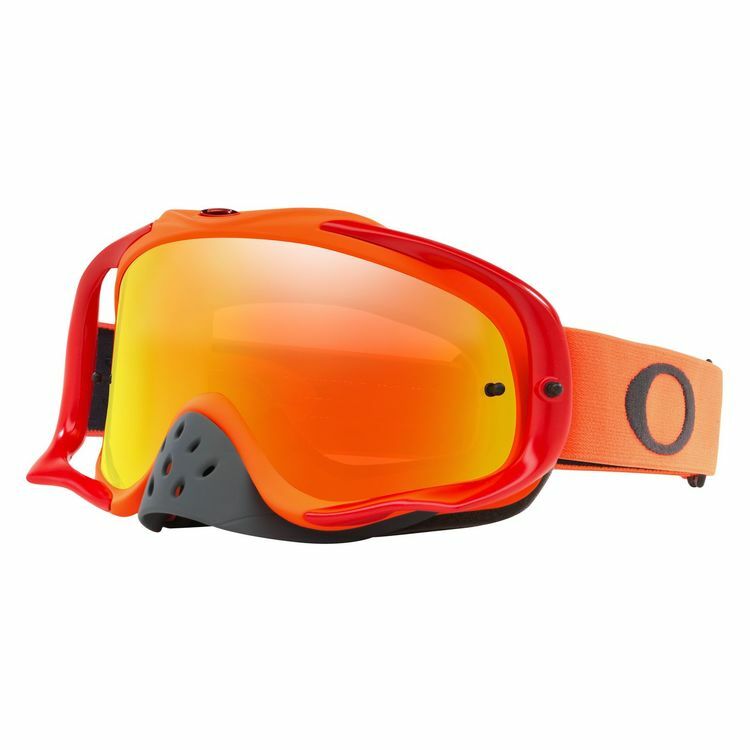 Can these goggles be worn over glasses ? Can i wear these over glasses?